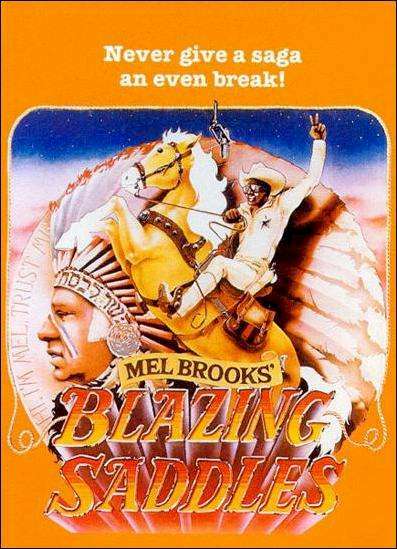 I saw Blazing Saddles in the theatre with my older sister & I remember thinking that if my parents knew what the film was about, they would have never let either of us attend the film. It’s always been one of my favorites. My son, currently a film major, also loves it. About the Irish … my Scottish great-grandfather came to this land with the last name of McDavid. He changed it to MacDavid so that nobody would think he was Irish & to increase his ability to land a good job (which he did). Our Scots relatives are McDavid to this day. Fascinating huh? It is amazing what a brilliant film it was, and how revolutionary it was. It got people to see their own prejudices through the lens of comedy and the parody of the great American Western. The film is brilliant in so many ways as you described. It uses sublime comedy to both subtly instill social introspection and shockingly head-slap viewers to see their own faults and prejudices. But, Mel Brooks was always brilliant; and, he’s still kicking at age 92.